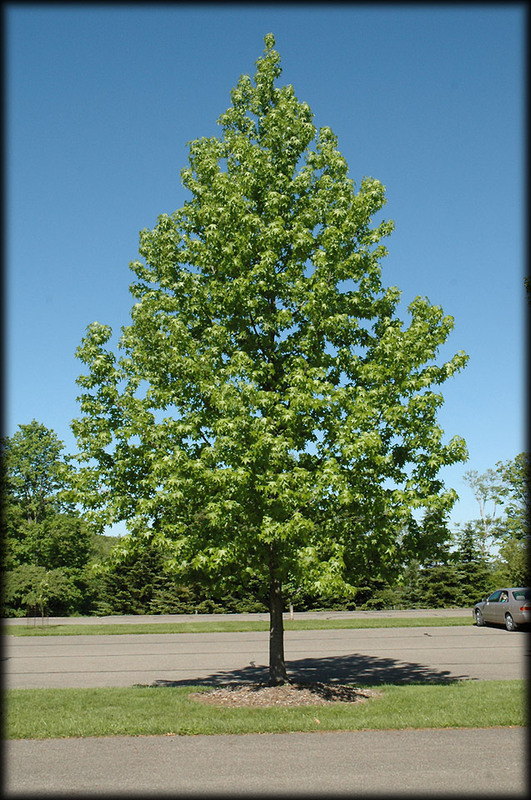 This standout variety is a cousin to the popular Autumn Blaze Maple, with many similar characteristics. 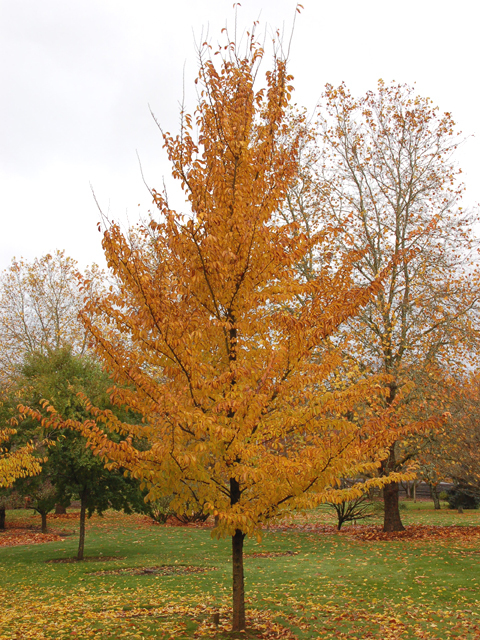 It has brilliant red fall colour plus an upright, broadly pyramidal form and will grow quickly to 45' tall by 30 feet wide at a rate of more than 12" per year. 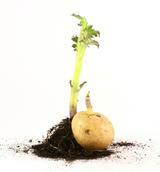 It is notable for its straight and dominant central leader, strong branching and ease of growth on most soil conditions. 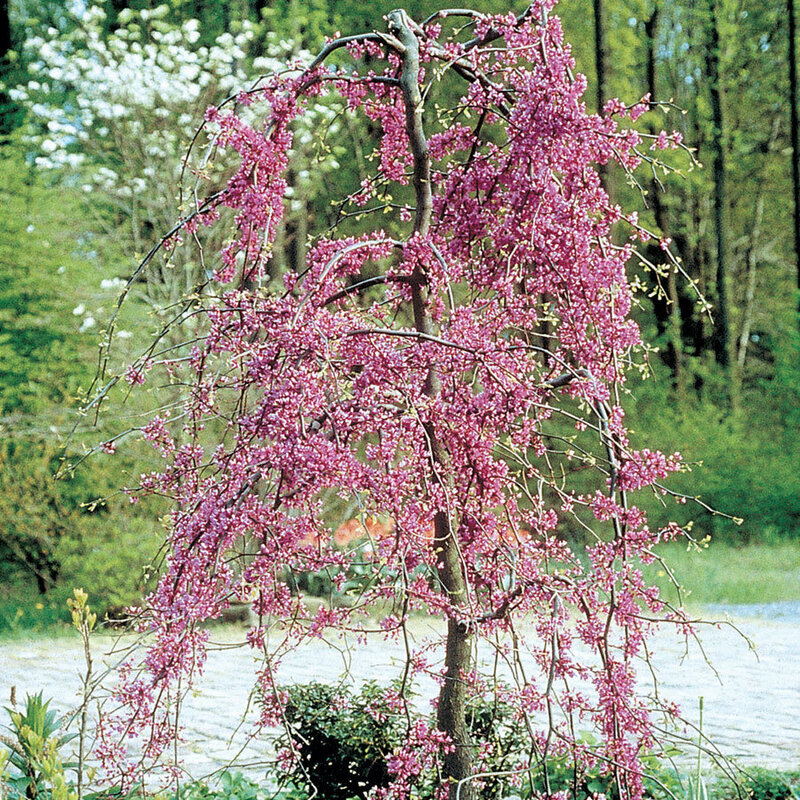 Heartbreakingly beautiful, this exceptional weeping form of native Eastern Redbud grows 10' to 15' tall and produces small heart-shaped leaves that have a reddish cast when budding and turn to a deep green when mature. In early spring tree tree is covered with lavender pink flowers that seem to emerge like magic from the branches. As with all Redbuds in K-W and environs, this tree should be located where it is protected from the northwest winds. This hard to find tree is the hardiest of the sweet gums; trees known for their distinctive star shaped leaves that turn a beautiful red in the fall with undertones of orange, yellow or even purple. 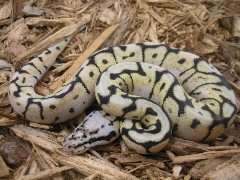 It grows at a moderate pace ultimately to 60' in a somewhat narrow form, and it is best suited for moist soils as it is native to bottomlands where these are found. The fruit is somewhat like a horsechestnut in size and appearance, but with small seeds that birds like instead of a fleshy middle. ** Available by special order. Site selection is critical. Amelanchier alnifolia 'Obelisk'Also known as Standing Ovation Serviceberry, this perfectly oval upright growing large shrub has three season's of interest. It is covered in white flowers in spring that form delicious edible berries in summer, and the almost circular leaves change to red and orange in autumn. 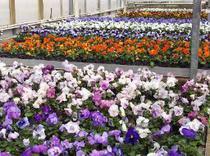 It will grow in almost all soil conditions in full sun to partial shade to a height of 15' high by a mere 4' wide. Not available 2013. 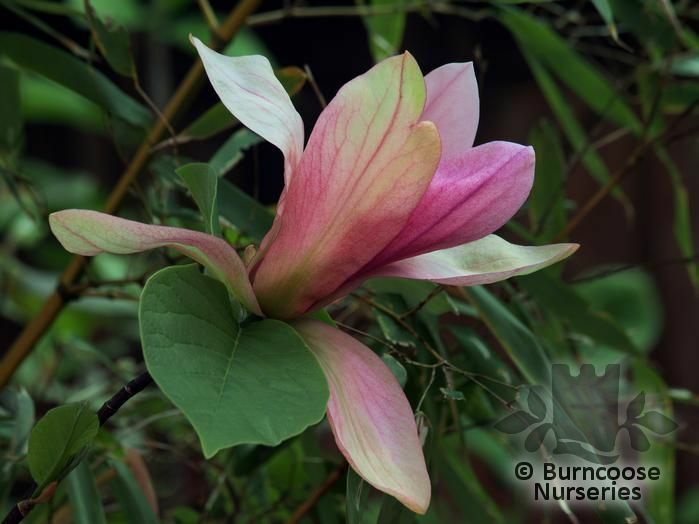 This Gold Medal winning magnolia offers a dramatic fragrant pastel pink display of blossoms in spring and a narrow upright form that makes it a suitable choice for many a smaller garden. It grows slowly to 30 feet tall by 10 feet wide on well-drained soils. 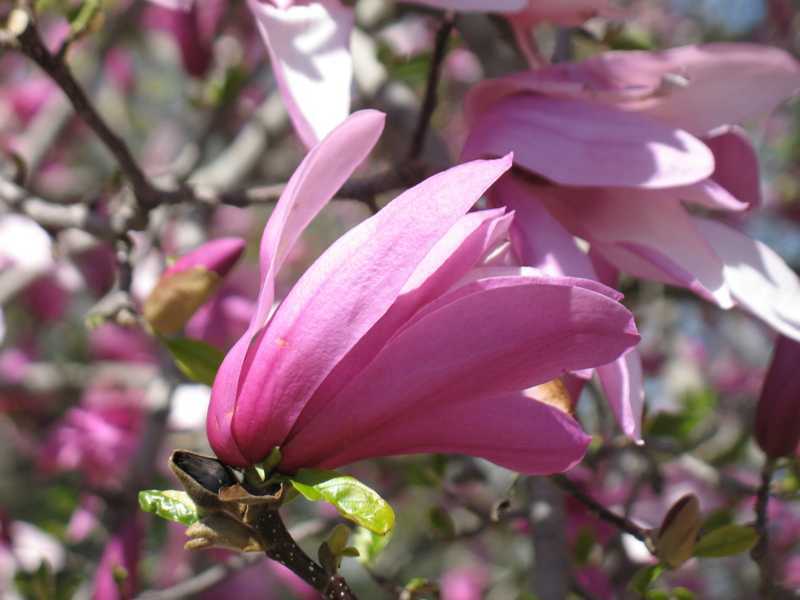 A member of the 'Little Girl' series of Magnolias that were bred to bloom 2 weeks later than Saucer magnolias (and thus suffer less injury due to late spring frosts), ‘Randy’ is primarily noted for its narrow open habit, reddish-purple flowers and late bloom (mid-April to early May). It is a slow-growing, deciduous shrub or small tree that typically rises over time to 10-15’ tall and 8-12’ wide. Star-shaped flowers (to 3-5” diameter) are reddish-purple with pink-white tones inside. 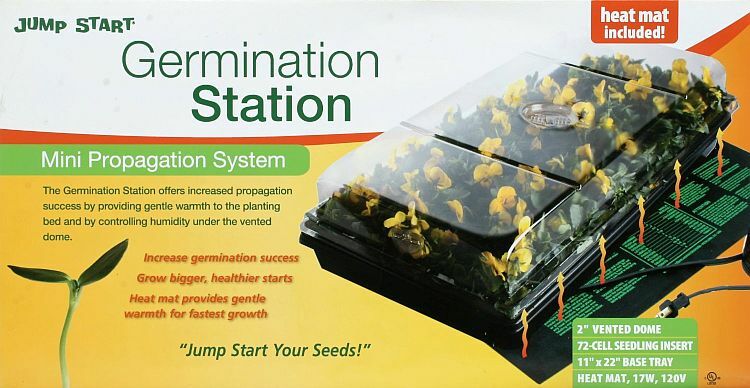 It grows best on well drained soils in a protected location. 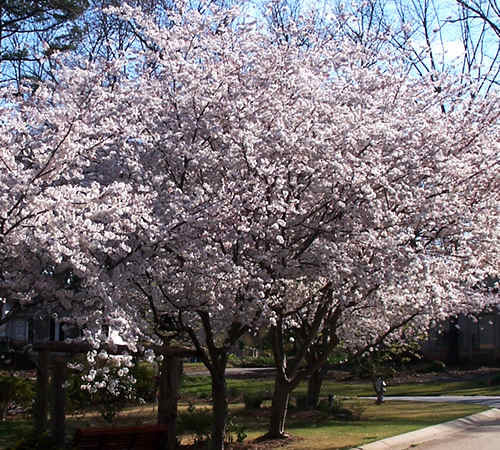 This Japanese cherry gets its name because in addition to an early spring flower show of double pink blossoms it may often produce another, smaller show of blooms in the fall. It grows quickly to 25' tall and wide in sunny, well-drained locations that are not too gravelly. Additionally, in the fall the leaves will turn a strong yellow with orange and red highlights. **Currently not available. 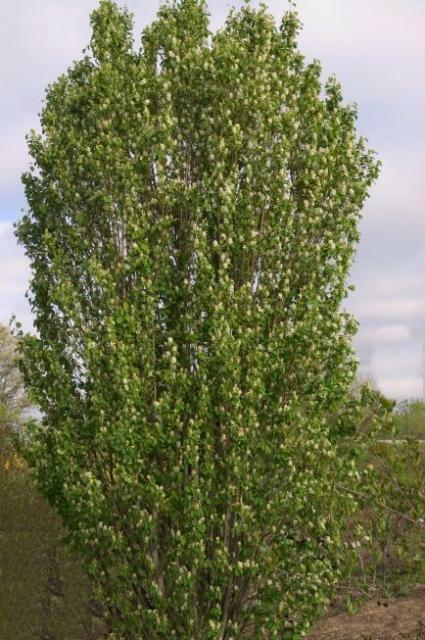 Ulmus propinqua ‘JFS-Bieberich’This new elm variety is a sturdy, upright-growing tree that was selected for its superior performance in hot, arid, windy locations (at the end of the drought of 2011 the leaves of this tree were still fresh and green). The handsome, deeply corrugated leaves emerge coppery-bronze and mature to glossy green. Fall color is a rich yellow, sometimes with purple tints on the tips and along the edges. Insect resistant and tolerant of heat and drought, it is a fast-growing, tough and adaptable shade tree that grows to 30' tall by 20' wide. For more info, click here. (Special order only). Here's 'the skinny' on this unique new tree. It's tightly columnar form makes it ideal for planting along narrow city streets and in other confined spaces. 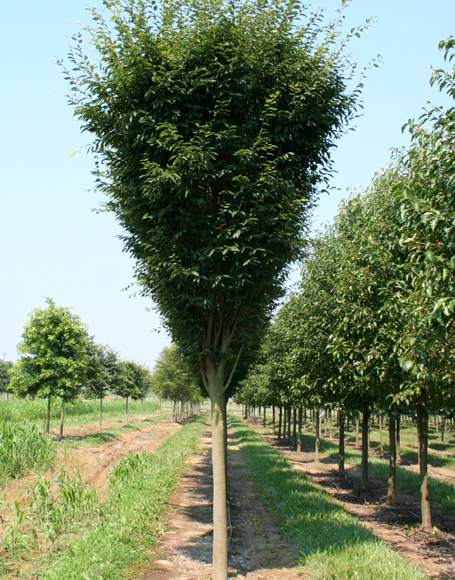 As a boulevard tree it can provide welcome shade while rising above passing vehicles and pedestrians. 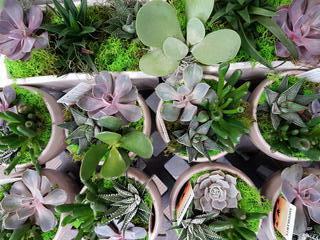 It's small, refined medium green leaves have serrated margins and turn an attractive yellowish-red to rusty-red color in the fall. This fast growing tree reaches a height of about 45 feet with a spread of only 15 feet. While it won't grow in a swale, it might have merit as a 'screening' tree for a narrow lot. For more info - click here. 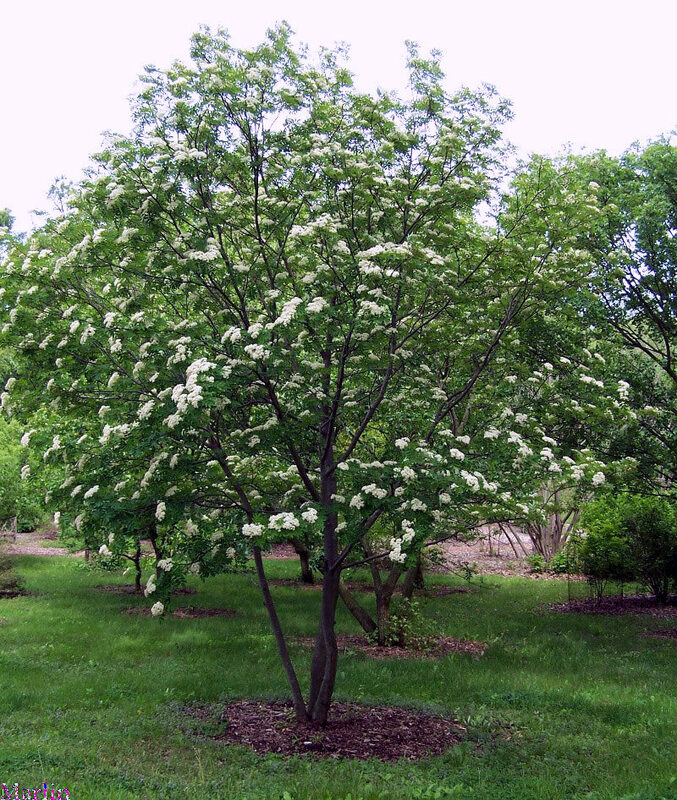 This multi-stem large shrub or small tree has a more compact bushy form than most mountain ashes, with a decorative display of white flowers in late spring that turn into orange red berry clusters in the fall. Fall leaf colour is a combination of gold, orange and red tones. 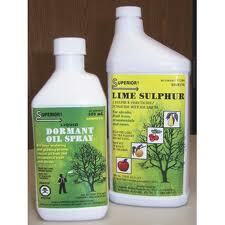 Performs best on sandier soils or in well drained locations. Grows to 20' tall by the same wide in full sun to light shade.